Replies: 10 (Who? ), Viewed: 14589 times. #1 3rd Aug 2011 at 9:02 AM Last edited by Phaenoh : 6th Feb 2014 at 9:02 PM. I didn't come up with this challenge. 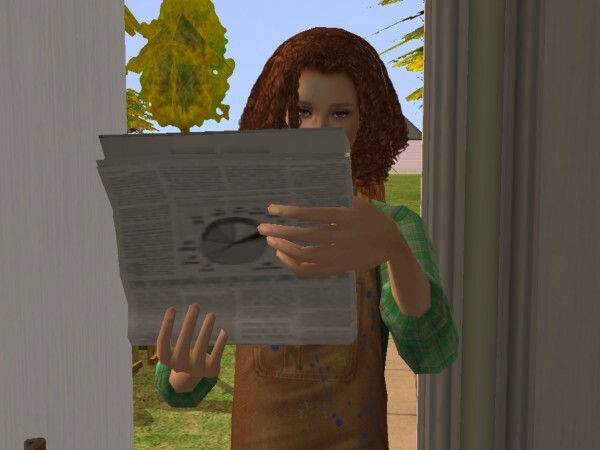 This was originally posted back in late 2008 on thesims2.com's forum (the original author was Yamx). Now that the site appears to be dead and gone, I thought I would repost it here so simmers can continue to enjoy it. This challenge was inspired by, and is named for, the book Nickel and Dimed by Barbara Ehrenreich (which has nothing whatsoever to do with Sims, but is nevertheless highly recommended). The idea is to mimic, as closely as possible, the life of an unskilled single mother trying to make ends meet for herself and her kids. I know there are some challenges that include similar ideas (Single Parent, Poverty, etc. ), but I haven't seen anything like this. This challenge has some restrictions that will keep your financial situation rather dreary (at least at first - it gets easier later on), but apart from those, you're allowed to do pretty much anything you want - as long as you can afford it. Taking the whole family on a seven-day Far Eastern vacation is not forbidden - and if you can find a way to do it, I'm impressed - but it will be made very hard by budget restraints. You're a single parent with almost no assets and no marketable skills. You have been a homemaker and out of the job market for years, but now your partner is gone and you need to put food on the table somehow. A mom (or dad - there's no real reason why your single parent can't be male; single dads are rarer than single moms, but there are nevertheless lots of them out there. Nevertheless, I will refer to the parent as "Mom" in these rules, since I can't be bothered to write "Mom or Dad" all the time). Can be any aspiration you want, and have any character traits you want. 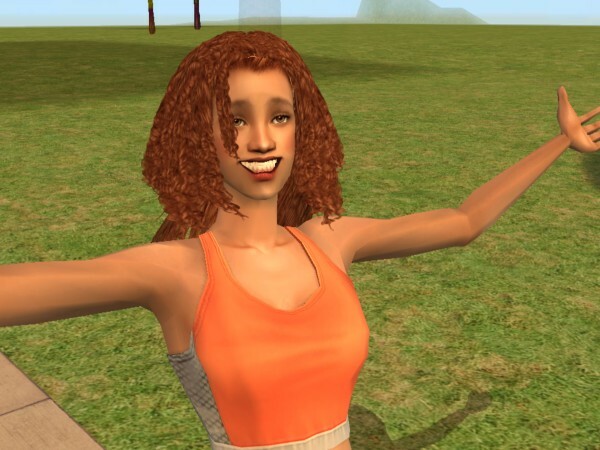 Obviously, certain traits, like being active and neat, will make life easier, but if you want an extra challenge, making a lazy sloppy fortune aspiration sim could sure make things interesting. You can even roll for it if you want to. A child - any gender, any personality, anything you like. A toddler - again, you're completely free in your choices. For a realistic touch, give your sims outfits that could be worn-out hand-me-downs, and no jewelry, makeup, or glamourous haircuts. But if you can't stand looking at them that way, feel free to pretty them up a little. It is recommended that you use a neighborhood with the normal spring-summer-fall-winter cycle of seasons, but it's really up to you. If you have Free Time, Mr. Humble will bring you a present when you first move in. You HAVE to delete it unopened. In real life, no one's going around handing out computers (or the extra cash you could raise by selling it), so delete the package without even having your sims open it. Also, no buying a computer you can't afford only to find a job with it and then immediately selling it back - if you want a computer, you have to find a way to permanently fit it into your budget. Life in poor neighborhoods is often unsafe - you cannot have a burglar or smoke alarm, and no sprinkler. If you're given the genie lamp, you have to keep it, unused, in some corner of your lot. No selling it, and no wishes. Raising your kids successfully until they're old enough to take care of themselves. If you can get all children to adult age without anyone dying or being taken away by the social worker, you've made it. If you want a kid to go to college, they can, but ONLY if they manage to raise at least $2500 in scholarships, since you won't be able to help them. Also, they have to live with you until their late teens (after all, 13 year olds don't go to college). Once the age indicator reads "becomes an adult in 5 days" or less, you can have them move to college, but not before that. We're simulating the life of an unskilled worker, so obviously, there are severe restrictions on skill building. (This is not to mean that real-life unskilled workers can't be creative or charismatic, but within the game, that would invariably lead to promotions, so it's banned.) These restrictions apply only to the mom, not the kids. Cooking & Cleaning: Obviously, you will automatically build up some skills in those areas just by keeping house. But since the last thing Mom would want to do after a long day of working and household chores is sit down and read about cleaning, cleaning can only be learned "by doing," not from a book. Cooking can be learned "by doing" or from the TV (since many people enjoy cooking shows - BAM!) but not from studying a book. Mom cannot have more than one skill point each in mechanical, charisma, creativity, logic, or body - once you have that first point, you cannot study any these, or do any activities that would lead to one of these skills improving, including home repairs (if something breaks, find a way to have someone else repair it or live with it). Also no stealing skills with the SimVac, or asking another sim to teach you, or anything. These skills simply cannot go up beyond one point. Exception: If any extra skills are gained through chance cards, that's okay. No cheats (except move_objects to remove bugged items) - in particular no kaching, motherlode, maxmotives, or anything that aids survival. (If you want to use a hack to make the phone ring only five times instead of twenty, that's fine with me.) Custom content is okay if it's things like recolors or hairstyles. 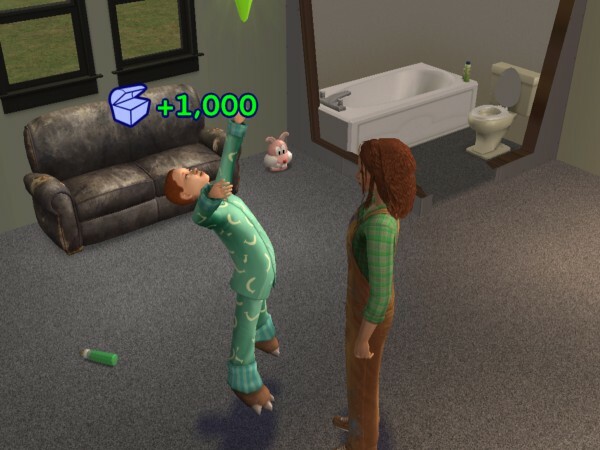 No special objects that will make your sims' life easier, like a bottomless fridge or items priced $0. No quitting without saving after bad events. No aspiration reward objects - money doesn't grow on trees. Of course, because of the limits on skilling, you can't advance very far; if you get promoted "above your skills" by a chance card, that's fine. Furthermore, you get NO vacation or sick days. If your mom misses the car pool for any reason, she HAS to quit her job (unless you have a car and can get her to work) immediately (i.e. before the "paid vacation" kicks in - if you don't have any days of paid vacation piled up, you have to quit your job anyway). If you have BV or higher installed, you can walk to work if you miss the car pool. Job hunting is hard, it takes time, effort, and resources (filling in applications, getting to interviews, waiting to hear back, going to drug tests). If you lose/quit your job for any reason, you cannot immediately take a new one from the paper - you have to wait until the next paper gets delivered (no matter if that's in a few hours or the next day), and that's the first paper you're allowed to look for a job in. If you have a computer, you have to wait from the point you lose/quit your job until the next time the job offers change (midnight) before you can search for a new one. In particular, this means that you CANNOT search for a job while you already have one, and walk straight out of one into the next. This is to prevent "promotion bonus hopping," where you deliberately quit a level 2 job for a level 1 one because you know you can get promoted the same day and therefore get the salary AND the promotion bonus, then repeating the same strategy every day. Neither Mom nor any teenagers of the household may work for player-run businesses. When Mom becomes an elder, she has to quit her job (not retire) and take an elder job instead. You cannot open your own business, neither at home nor on a community lot - S2 makes it pretty simple, but in real life it takes more start-up capital than Mom could be expected to raise. Absolutely NO selling of paintings, pottery, robots, etc. Mom can't paint anyway, obviously, but the kids can - but if they do, you have to hang their paintings somewhere in the house (or scrap them before they're done), not sell them for cash. No working on community lots (as a DJ, bartender, etc. ), performing for tips, hustling pool, taking part in competitions, etc. No selling off furniture (because in real life, no one's going to give you $100 for your old, battered kitchen table). You also cannot sell broken objects and replace them with new ones. There are only two exceptions to this rule: you can sell furniture if you're upgrading to a better item of the same kind (say, selling Mom's bed to buy a better one), and you can sell "outgrown" items - e.g. the crib and any toddler items once your youngest becomes a child, and any "children only" items when the last child in the house becomes a teen. The same is true for parts of the house - no selling windows, doors, etc. unless you're replacing them with a better item of the same kind. If you're buying new wallpaper or floors, you can't sell the old ones back first (because really, who's ever heard of selling back wallpaper that's already been on the wall?). No buying an item just to use it once, then selling it back for the same price - once you buy something, you're stuck with it, unless it is destroyed or the repo man takes it. No selling date rewards (if you even have the time, money, and energy to date) - if your beau gives you a bunch of flowers, you can't turn around and sell it for grocery money. If it's a bunch of flowers or a small item, you may use it, but if it's anything "big" (i.e. worth over $200), it has to be kept in inventory and not used. No pet jobs, or selling pets for money. Teens can get a job (in any career track) - but if they do, they have to abide by the "no vacation or sick days" rule. If you get money in a way you can't help, like through a chance card, or a kid getting money for good grades, or an uncontrollable side effect from something like the telescope, that's fine. Here are some variations to make your challenge harder or easier. You can try any or all of them, in any combination, if you want. Drained: Your mom is too drained after work to do any studying at all - even watching the Yummy Channel is too taxing. Cooking can therefore only be learned through practice as well. Make 'em Younger: Rather than having a child and a toddler, have two toddlers. Have More: Add a third, fourth, or fifth kid any age level you want up to child, but NO TEENAGERS. Pregnancy (I really like this one, it adds a lot of fun/drama): Have your single mom (obviously, this will only work with a female parent) get pregnant. As stated, you cannot move another adult sim into the lot, but your mom can woohoo with visitors once the relationship gets high enough (or if you have ACR). So if you really want to take the challenge up a notch, have her get pregnant, then have the father leave her in the lurch. You can even do this more than once. If you decide to go through with this, you are allowed to take advantage of your maternity leave - but only before the birth. The three extra vacation days you get when the child is born must remain unused, like all other vacation days. For an even tougher challenge, you could quit your job on the first day the mom can't go to work and force her to find a new job after the birth. If you decide to do this, remember that your challenge will become quite a bit longer - it's not over until the youngest child is out on their own. Add a teen: Add a teen to your CAS family. Even though that's one more mouth to feed, it'll make everything easier because you have someone around the house who can help out (e.g. cook, do repairs), babysit, and even bring in some money via a job. Handy: Your mom is allowed to do home repairs (unclogging the toilet, etc.) herself, thereby gaining mechanical skills (still no studying mechanical or tinkering, though). Bear in mind that certain appliances can kill you if you try to fix them with low mechanical skills. Instead of stopping when the last kid leaves home, keep playing - see how Mom deals with the empty nest, how she copes with even tighter finances as an elder. And/or continue to play the kids on other lots and watch them rise above their humble beginnings. I've uploaded the house I used for the challenge, which was part of the original post. It's base game compatible, so everyone can use it. P.S. Though I haven't played this challenge in a while, it was a lot of fun when I did, and I'd love to see pictures from other people's challenges! 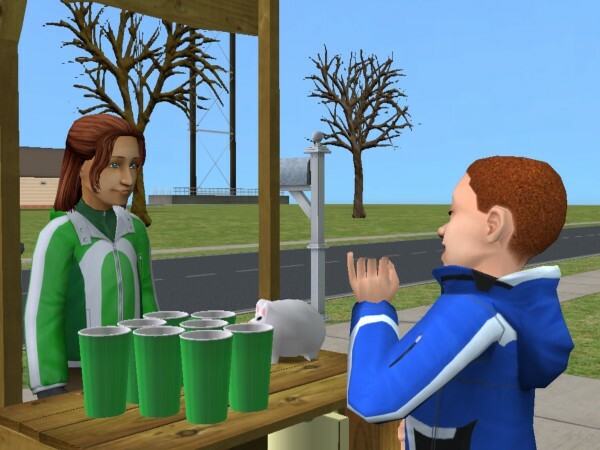 I remember reading this challenge in the days before I got Sims2. 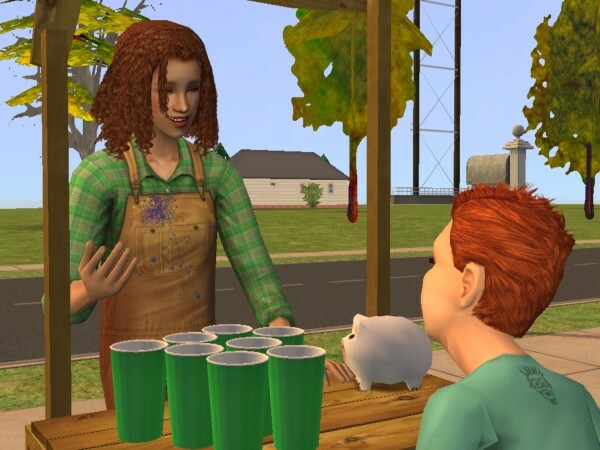 It was one reason I got so hyped to start playing - I could see the vastly increased story and character possibilities over Sims1. I see these rules do not account for Apartment Life. You need to add rules and guidelines about using apartments and the walk to work/school options; also, probably, about witchcraft. I didn't write the challenge, but I don't see any real reason why your CAS family couldn't move into an apartment instead of the house I've attached to the end of the post. Same with walking to work and school - people do that in real life, so there's no reason why your family couldn't do that as well. As for witchcraft... that's kind of iffy. 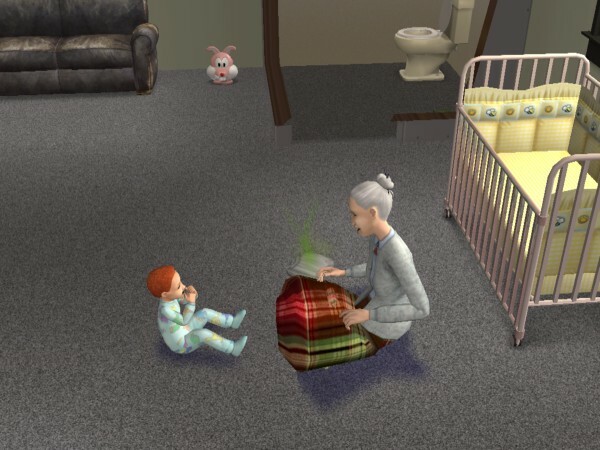 There are a lot of spells (especially those of the good alignment) that can vastly improve your sims' quality of life, such as Compello Acceptus (compel other sims to accept socials), Exflammo (extinguish fire), and especially Benemoodus Simae (satisfy all of the target sim's needs). Just for the sake of realism, I'd say it's banned. Here is the Grisdale family. Mom is Tabitha, Child is Dexter, and toddler is Peyton. They moved into a one bedroom two bath house in Pleasantview. Dexter wanted to start a lemonade stand in hopes of raising enough money to buy a game box. Unfortunately, his mom was the only one buying. Tabitha started her search right away for a job. She was a dancer in high school and thought perhaps she could get back into it. Luckily, the minimal skills she had landed her a job as an aerobics instructor. A chance card came up when she was at work and I took my best guess and as it turned out I guessed right and Tabitha earned a body skill point. This helped her to get to level 2 of her career field and she became a back up dancer. Meanwhile her two children are doing well and they love their mom so much that they run to give her a hug when she comes home. Or maybe they are so glad to see her since their nanny is a bit crazy. She just loves the smell of poopy diapers. Peyton grows up just before Tabitha can finish teaching him to walk. He transitioned with gold aspiration but was hoping for platinum. Peyton is a child now and didn't like it too much when Tabitha autonomously tucked him in. It might be due to the fact that he was about to wake up and she was blocking him... hmm..
Peyton brings home the bacon. He made a sale with the lemonade stand that so far has been a waste of money. Yah! $14 whoop. Creepy old guy coming around and tickling Peyton. 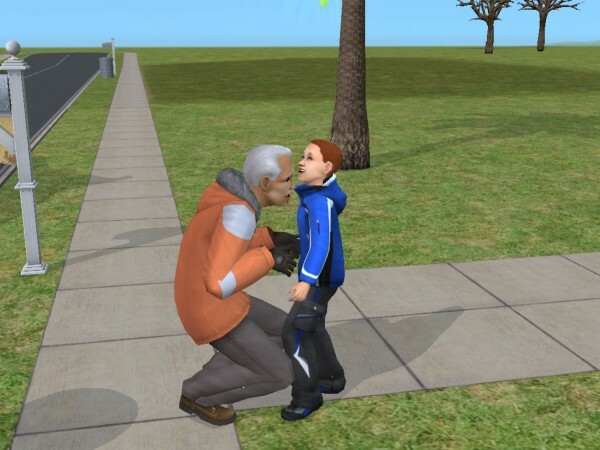 He decided to be a brat and influence the guy to kiss his nanny. Unfortunately, it was a lame kiss. Oh well, anything to keep the nanny busy and off his back he is happy. That is it for now. So Tabitha the mom is at level 2 in her career, peyton the toddler is a child now and Dexter the child has A+ Report Cards. Things are going great and I hope to get platinum for Dexter's transition. I'm trying this combined with the Messylot challenge. Tiana, my mom, is finally done with the barfing stage of early pregnancy. Her not-divorced-but-ought-to-be husband keeps sneaking around and peering in the windows at night, being a creeper. Her daughter, Callie, inherited all Tiana's neat points and has done a lot of picking up. Toddler son Justin Jr. is a total slob, just like his dad, so Tiana's going to have to encourage him up. He's got a day and a half to age up, she's got about six hours before she gives birth--to twins! Or maybe more . . . triplets and quads could kick in. 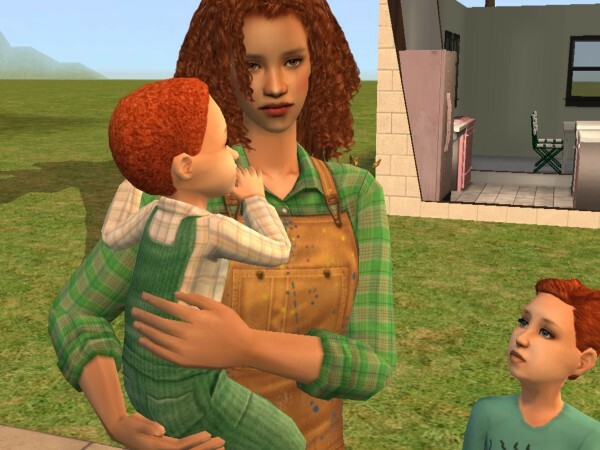 I decided, since I'm combining two challenges, to let Tiana have the handy advantage, but she also has the drained disadvantage, and happened to be pregnant by her no good husband when the fight blew up that led to her running off with the kids. Of course she can't get a job yet, and she didn't have enough money to buy the house thanks to no20khandout, so she has a $10k loan to pay back as well, but it's letting her keep her bills paid and food in the kids stomachs for now. Once Callie hits teen, Tiana can get a job, as long as her hours coincide with Callie's time off of school. Tiana's just going to have to hope that Callie doesn't decide to have any boyfriends over while she's not around to supervise . . . Question about the kids painting. Couldn't you just put the paintings in the child's inventory and let the child sell them after they've moved out? Unless I'm missing something, it doesn't seem like the appreciation going on in the kid's pocket would matter so long as it isn't used to support the family during the challenge. I hadn't considered that before, but yeah, I don't see any reason why you couldn't do that. That way, if the kid has high creativity skill, they could sell their paintings to help pay for bills, etc. Getting ready to try this. I thought a rental HOUSE (I've made them before) was more realistic, but then I would have to reduce her money. Oh, but rents are unrealistically high. Um, but it would be more FUN to have broken plumbing and a wild garden. Tiana got a job, in Slacker, and she's up to level 4 where she's stuck, unless she gets a chance card. Callie grew up to teen and, being a family sim, got herself a 'steady' boyfriend out of her childhood buddy-unfortunately for her, he's a romance sim, but he agreed to go steady. They got up to unsanctioned activities, but fortunately their school has a good woohoo-ed program. (Better than Tiana's! But that comes later.) Tiana came back from her second day of work to find a social worker on her doorstep. "Your sister is in prison. She named you as guardian. This is Chryslynn. Best of luck." Baby Chryslynn even has red hair like Tiana. The social worker made yuck faces the whole time she was there--I don't know why, as the yard is finally pristine. 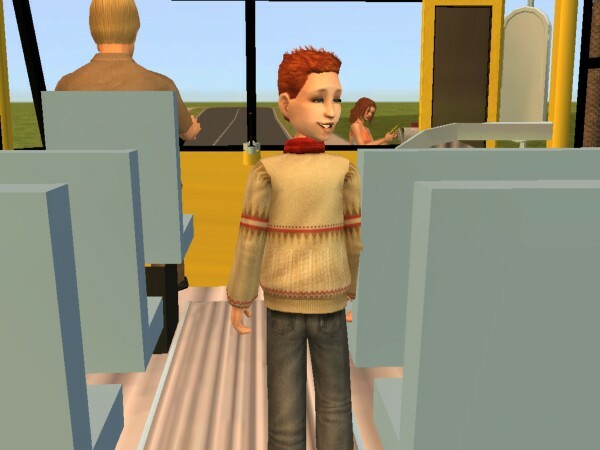 Justin Jr. grew up to teen and became a pleasure sim. He's also dating his childhood best bud, who is another pleasure sim. They have two bolts, and in spite of his 50 first date LTW, he's rolling go steady with her. The twins, Frank and Hank, grew up to be children, Frank inherited his dad's mean streak, but both are neat and shy like their mother. Justin inherited their dad's messy streak, but that's okay, he's pretty tidy anyway--0 neat points and he hasn't yet passed gas on the table. And, of course, because this is how these things go, Justin Sr. got a hold of Tiana's phone number. Tiana ought to know better--she fears catching Justin Sr. cheating, but she also fears breaking up with him and wants to fall in love. And have another baby (her LTW is to marry off six kids). They went out, and made use of the same photobooth that Callie and her boyfriend had used, but with very different results. Tiana is pregnant again. Justin Sr, mind you, has never been inside their house, never met the twins or Chryslynn, and he won't meet these twins either. I just need to figure out how to get Tiana to catch him cheating on her. Maybe then she'll give up on the guy. I'm thinking it would be fun to move her and the kids to an apartment downtown once/if she does break up with Justin Sr, but I don't know if that'd be okay by the rules. But then she wouldn't be able to fix up the house she's in. The hardest part is having three bed spots for the kids and her, and five of them, soon to be six. Callie is going to college as soon as she gets a few more cooking points, she's been working her tail off. I thought about having Tiana change jobs, but right now, she works from ten-three, Callie works from 3-6 (science) and Justin Jr. works from 4-7 (entertainment) so there's no need for a nanny. The teens switch off on skipping school to watch Chryslynn.